Utility bills are the payment of bills that depends upon the usage that can be monthly usage or weekly usage. Utility is the service that keeps the services going, it may include your water, electricity, natural gas, heating oil, telephone, possibly cable TV and internet bills. Daily usage of water which is provided at your home 24/7 is one of the utility services that benefit you with its usage. 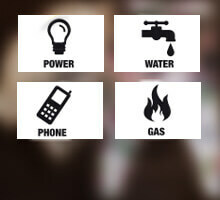 Gas and electricity are the same utility services provided by the local bodies. In this world of technology when everything is relied on online world, stores like Paytm, Mobikwik, Freecharge, ePaisa, Payzone, Sarasta Gov and many more offers its customers with online bill payments options from it mobile apps 24/7. These online stores not only make you rid of standing in the long queues but also make it easy for you to make your payments relying on your comfort. Pay using Paytm at selected IOCL Petrol pumps and get up to Rs.50 cashback. The offer is valid for a minimum transaction of Rs.20. Cashback is applicable only twce per month. Maximum cashback that can be availed in this offer is Rs 50 per transaction. The campaign is valid on select IOCL petrol pumps only. Now get flat Rs.25 cashback on Gas Bill payments when you pay minimum Rs.250 or more. Coupon code can be used once per user. Enter the coupon code at final payment. Cashback will be credited within 24 hours of the transaction into user's Paytm Wallet. Mobikwik - This leading online store offers to let you make quick and secure payments through its mobile applications. Further, it lets you enjoy unending discounts and cash back offers when you make your payment through the Mobikwik wallet. Once stored money in your wallet let you make multiple transactions and make versatile payments for your phone, electricity and other bills and enjoy your comforting life. Paytm - The big market name Paytm which is not only admired for the transfer of funds but also for making online payments for all your day to day needs and bills. Payments through Paytm is not only safe and secure but also brings you with comfortable payment options with multiple offers and discounts that let you save while making your payment. Having expanded into multiple industries this online platform is one of the admired platforms in an online world. You can avail fast, effortless and money-saving payments anywhere, anytime through your phone or desktops. Discounts - While making your payments on your electricity, usage of the bill and others, these online stores let you save a huge amount by offering a number of discounts and cash back offers. Making your payments through a number of online stores using their mobile app will let you grab hefty offers and make you save on your every payment. Be an active user in an online market and let yourself benefitted from these money saving offers. Downloading mobile apps of these online stores will benefit you more as these apps will keep notifying you about a number of discounts offered by them and let you grab the best options that benefit you while making your payments. As these online stores ensure you to avail the convenient options.